SKYMARK's compact, low profile indoor design protects against potential vandalism and weathering and eliminates the need for any unsightly exterior equipment. The compact dimensions allow for easy installation through doorways, hallways and elevators. Floor-by-floor installation provides independent zone and temperature control, eliminating many of the complications encountered with rooftop equipment. Renovation and restoration projects are simplified where roof load, cooling tower, and construction restrictions can present installation problems. All SKYMARK products feature high efficiency, quality engineering, and dependable operation. All products are AHRI certified and ETL listed. 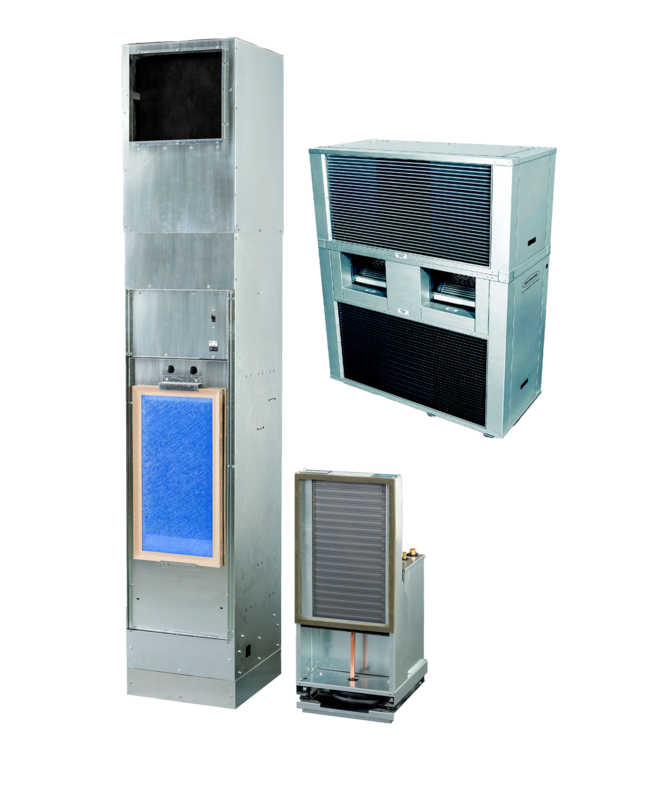 SKYMARK Air-Cooled Self-Contained units are manufactured using high-quality products and processes and save energy for our customers. 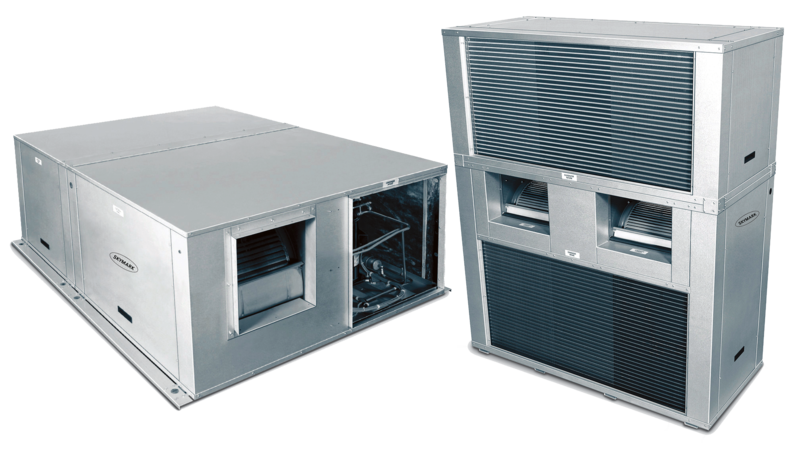 Convenient for installations when packaged indoor equipment are needed or required, units are installed easily on the perimeter of the building for condenser airflow. 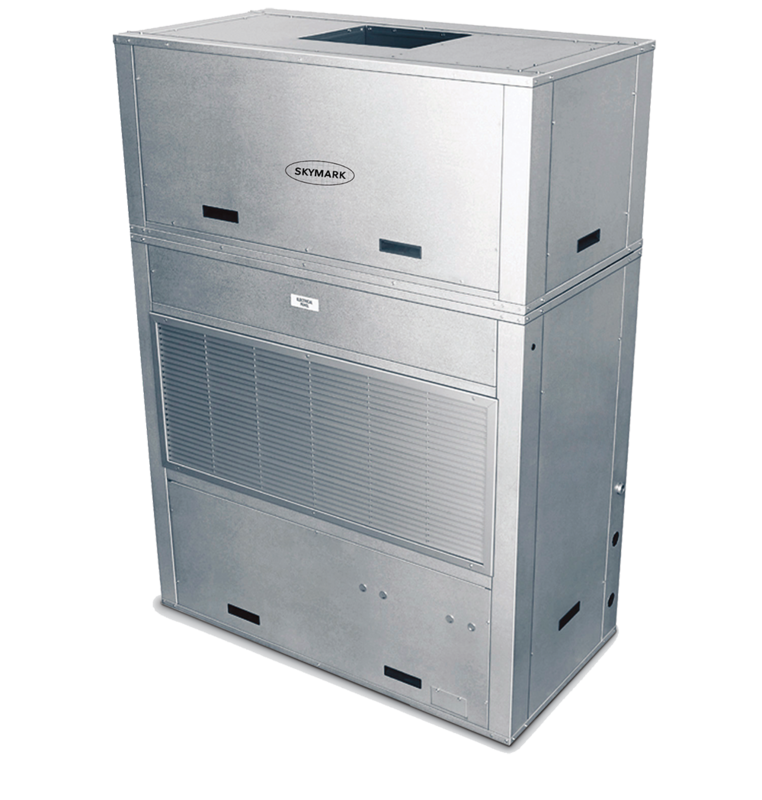 SKYMARK Water-Cooled Self-Contained units are manufactured using high-quality products and processes and save energy for our customers. Convenient for installations when packaged indoor equipment are needed or required, units are installed easily by connecting to a building water loop and ducting supply air to the conditioned space. 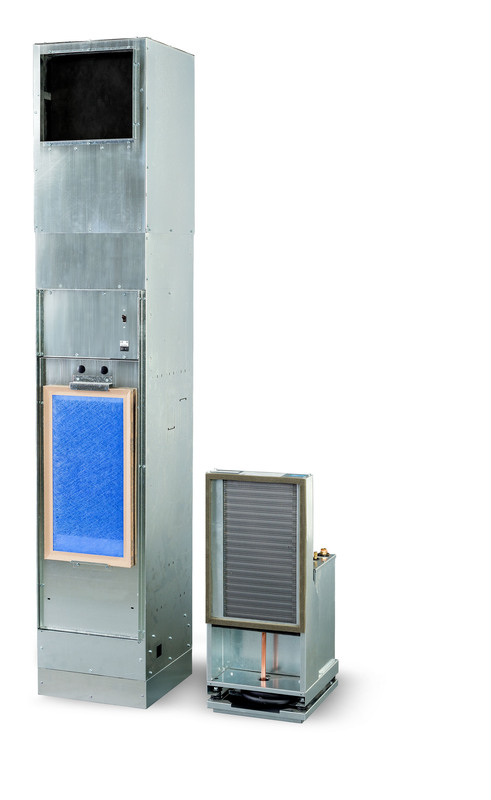 Vertical Stacked Water Source Heat Pumps (VSCS) from SKYMARK offer the ultimate in multi-story HVAC design flexibility. 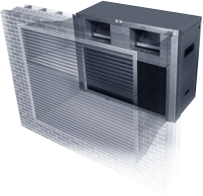 The VSCS Series is a compact, concealed system, capable of providing total heating and cooling functions for a single zone or multiple rooms. © 2015 Johnson Controls, Inc. All rights reserved. SKYMARK is a registered trademark of Johnson Controls, Inc. in the United State and other countries.